2010-11 Rs. 25-50 Crore Approx. 2009-10 Rs. 25-50 Crore Approx. Alfa PEB Limited, established in the year 1992, as a manufacturer of the finest range of Prefabricated Buildings and Building Components. Making of this range is done as per the set standards of the industry, utilizing the finest raw materials and modern machines. 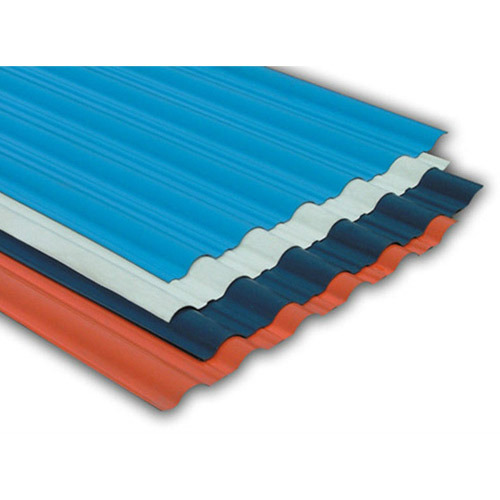 This ensures the product’s sturdiness, durability and resistance to heat and moisture. Further, the offered range, comprising the finest Pre Engineered Multi-Storey Building Systems, Sandwich Puf Panel, Rockwool Sandwich Panel, EPS Panel, Metal Colour Coated Sheets and Light Weight Aluminum Color Coated Sheets, is marked at the most reasonable rate possible. We are exporting our quality products in Sri Lanka, Arab country and UAE. The highly developed state-of-the-art infrastructural facility at Alfa PEB Limited, has been equipped with all the necessary machinery and equipment, which are needed for the facilitation of the attainment of a number of the firm’s targets and objectives. To maintain our standing in the market and to maximize our productivity, the facility is regularly upgraded. In order to manage the firm’s operations in the best possible manner, the facility has been parted into several highly operational units. In addition, our ethical work practices have helped us generate a huge client base, comprising ETA Star International, Bihar Tubes Ltd and Minda Projects Ltd.